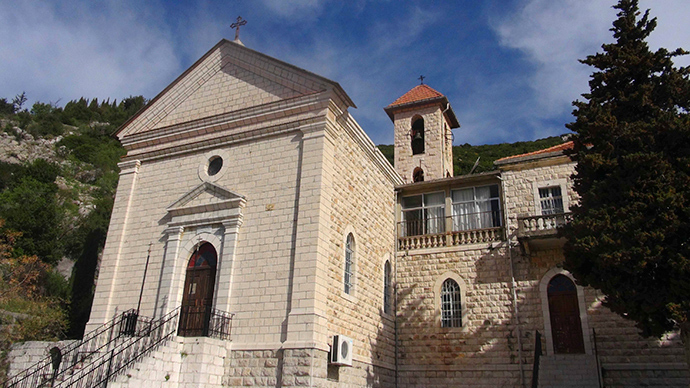 The Syrian military has recaptured the strategically important border town of Kessab. 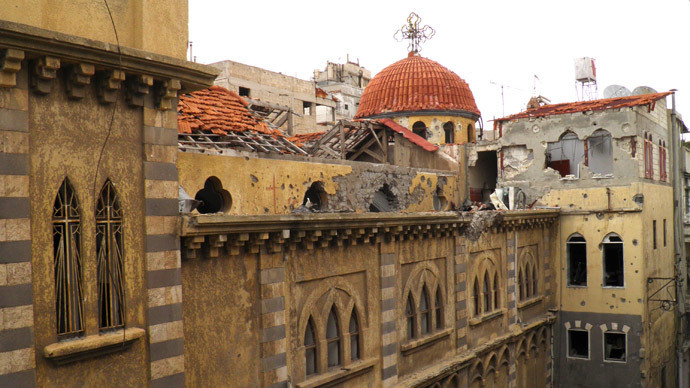 The predominantly Christian-Armenian town was overrun by jihadist rebels in March, with much blame placed on Turkey for reportedly allowing the crossover to happen. Syrian armed forces have been carrying out systematic assaults on the Al-Nusra Front and associated rebel positions across several provinces, including northern Lattakia, where control was reestablished on Saturday. The army seized weapons and ammunition and took out dozens of terrorists in the operation, mostly non-Syrians, according to SANA news agency. The jihadists withdrew from Kessab “leaving behind only a small number of men,” according to the Syrian Observatory for Human Rights. Tanks were deployed in the surrounding areas and government forces eventually closed in on militants’ positions. The jihadist groups were reportedly pushed back toward the Jabal al-Akrad area. 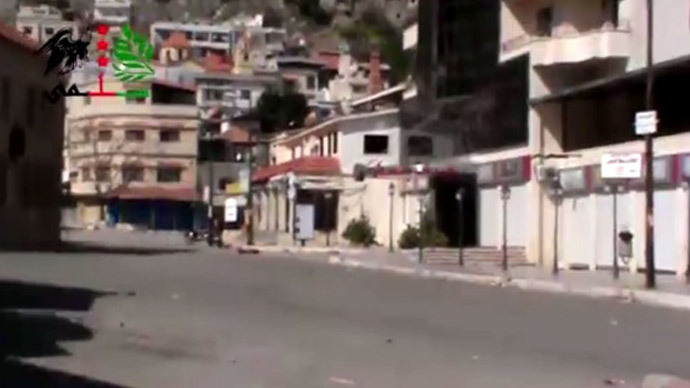 On March 21, extremists affiliated with Al-Qaeda seized the town of Kessab after clashes with Syrian government troops and local self-defense squads. This was to become part of a long-winded diplomatic crisis involving Turkey, Syria, and Armenia, as the jihadists had reportedly crossed into Syria from Turkey. The Armenian government calledon the UN to protect Kessab, evoked the Armenian genocide of 1915, and accused Turkey of allowing jihadists to cross the border to attack Kessab, blaming it for the civilian deaths. Moscow alsojoinedcalls at the UNSC to evaluate the situation and offer solutions on how to protect the some 2,000 Christian Armenians that inhabit Kessab. Ankara slammed any accusations of its complicity and condemned the allegations as “confrontational political propaganda,” although Turkeydowneda Syrian military jeton March 23, just ahead of an escalation in tensions between Prime Minister Tayyip Erdogan’s Justice and Development Party (AKP) and the Syrian government. Turkey claimed the jet was violating its airspace. In response, Damascus accused Ankara of “blatant aggression,” saying the fighter jet had been over Syria. The Syrian pilot said a Turkish aircraft fired a missile at him while he was pursuing jihadist militants within Syrian territories, SANA news agency reported. Although the Syrian Observatory for Human Rights has been caught several times in the past in the act of supporting the rebels and largely taking up a stance against the Syrian government, it likewise disagreed with the statement released by Ankara in the aftermath of the downing of the Syrian jet. Finally, on March 27, a leaked phone conversation between top Turkish officials discussing the options for manufacturing a pretext for a military invasion of Syria appeared on YouTube, leaving little doubt as to how little Turkey was willing to hold back when it came to engaging the Assad government. Theories on the invasion of Kessab by terrorists center largely on Erdogan allowing the border crossover to take place. It is a strategically important area because of its geographical location near the only border crossing with Turkey in the shaky Lattakia province, which is the heartland of the Alawite sect, of which Assad is a member. March violence brought with it the loss of the last functioning border crossing with Turkey, when jihadists won it over from the Syrian government.